The Roseland staff held two outreach events in Maple Park and one in North Pullman. The Maple Park events included a weatherization and energy efficiency workshop and a general information workshop explaining MMRP programs. In North Pullman, the Roseland staff held an open house/block party. The event was designed to showcase the newly renovated properties at 10729 South Champlain and 10732 South Champlain and featured tours of the newly renovated homes for sale. 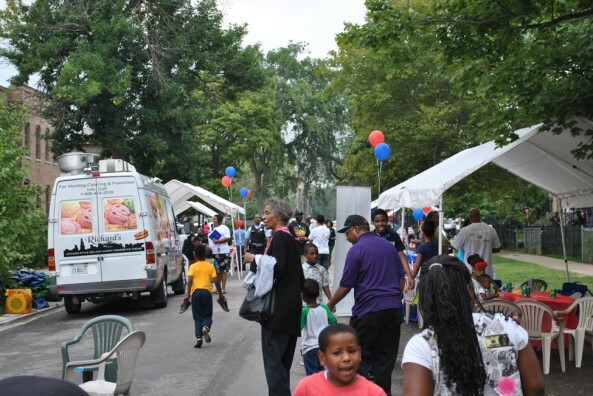 The event was co-sponsored by Chicago Neighborhood Initiatives, US Bank, AMS Realty and LISC. Over 100 people attended the event and both properties are now under contract.